The Investment Facility for Utilising UK Specialist Expertise is harnessing the wealth of expertise of UK civil servants to support improvements in the business environment of our partner countries. By Natalie Skerritt, Department for International Development, and Hugo Warner, PricewaterhouseCoopers. The Investment Facility for Utilising UK Specialist Expertise (IFUSE) is an initiative established by the Department for International Development (DFID) in 2012. It helps increase investment and private sector productivity in poorer countries, aiming to reduce the costs of doing business and promote fair and competitive markets, connecting DFID’s focus on poverty reduction with the wider UK growth and prosperity agenda. It is unique because its services are delivered by civil servants rather than private sector consultants. The initiative matches demand for support from the countries where the UK focuses its development assistance, with expertise from over 15 participating Government departments and related bodies. The support provided is typically a short in- country deployment by one or a team of UK civil servants. IFUSE has carried out over 50 deployments across some 15 countries since starting operations in spring of 2012. Beneficiary countries tell the UK Government that deployees bring world-class expertise and new perspectives on policy and practice. For the participating civil servants, deployments offer a chance to gain international experience, as well as the personal satisfaction of hands-on involvement in the UK’s international development agenda. If you are interested in further information on IFUSE or promoting it in your department please contact the management team at ifuse@uk.pwc.com or by telephone on +44 (0) 20 7213 3005. IFUSE’s webpage on GOV.UK, which includes more detailed information on how the facility works in practice and the range of expertise that it offers, can be found here. IFUSE is managed by DFID’s managing agent, PricewaterhouseCoopers. Over 1,100 garment factory workers lost their lives in the collapseoftheRanaPlaza building in Savar, Dhaka, in April 2013. The disaster created an unprecedented worldwide reaction and has led to major brands considering pulling out of Bangladesh altogether. The poor enforcement of factory building standards threatens the ready- made garments sector, which is responsible for nearly 80% of exports for Bangladesh. 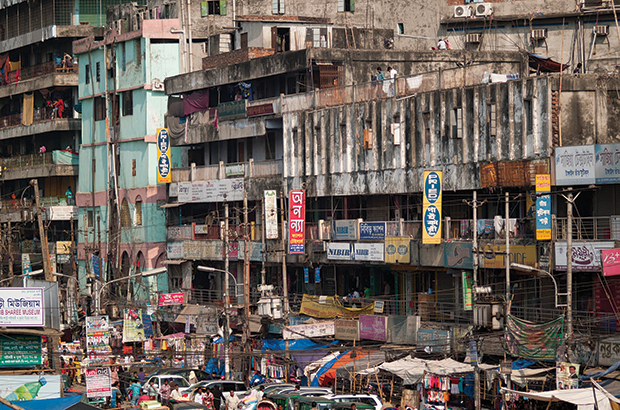 A cross-sector team of three experts visited Bangladesh to help address the urgent need for improvements in safety and building standards in the country’s garment sector. These were Erica Butler, from the Better Regulation Delivery Office, Martin Russell-Croucher, Director of Sustainability and Special Projects and John Tracey-White, an International Sustainable Development Adviser, both from the RoyalInstituteofChartered Surveyors. They examined building standards legislation and inspections regimes, and made a series of recommendations to the Government of Bangladesh about strengthening institutions responsible for compliance with maintaining building standards and addressing capacity requirements in areas such as engineering and safety assessment. "The challenges facing Bangladesh are significant,” Erica said, “but they are matched by a great enthusiasm for change. The assignment has helped me to develop my strategic thinking on regulatory policy and I hope that my expertise will support them as they work to make their factories safer places to work." 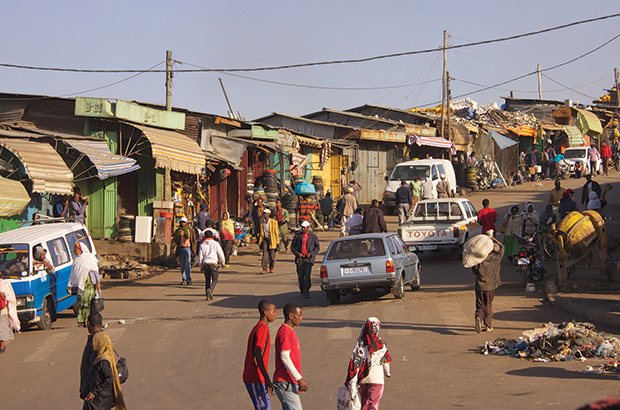 Ethiopia recently conducted its first national energy policy review since 1994, supported by Emma Cole, an adviser at the Department of Energy & Climate Change (DECC). The Ethiopian Government were seeking greater private sector involvement in the energy market to help increase electricity supplies, supporting rapid industrial growth while keeping carbon emissions low. Following meetings with private sector investors in Ethiopian energy projects, Emma was embedded for two weeks in the Ministry of Water and Energy in Addis Ababa. “The differences between the UK energy experience and the Ethiopian provided exactly the kind of outside perspective that the Ethiopian Ministry was looking for”, Emma said. The deployment has laid the foundations for a deeper relationship between the UK and the Ethiopian Government. Ethiopia is considering developing a 2050 Calculator, an online tool pioneered by DECC as part of its emissions reductions strategy. 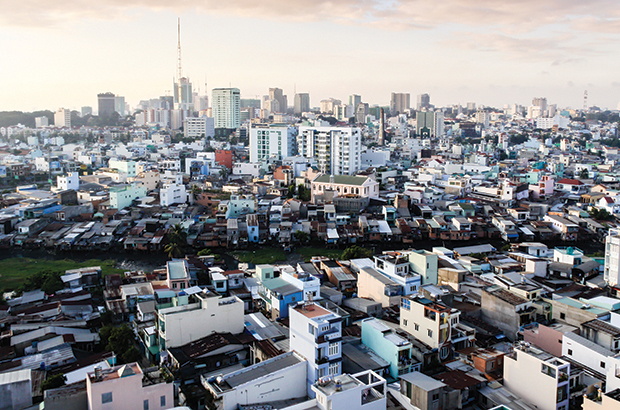 Despite impressive growth and liberalisation over recent years, Vietnam still faces pressing challenges, such as financing major infrastructure projects. Javier Encinas, a senior adviser at Infrastructure UK in HM Treasury helped the Vietnamese Government’s Public-Private Partnerships office define areas where the UK could help Vietnam. Javier interviewed donors working in the field and the private sector before spending a week in Vietnam interviewing key stakeholders. His recommendations reshaped the UK Government’s approach to supporting Public-Private Partnerships in-country.